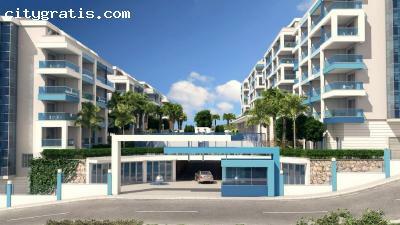 Luxury apartments in Kestel. 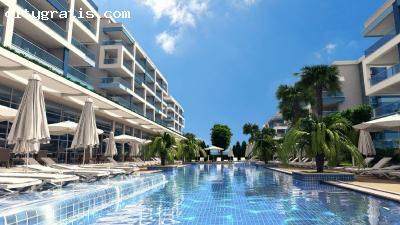 Only 300 m to the beach and 5 km to Alanya City Centre. 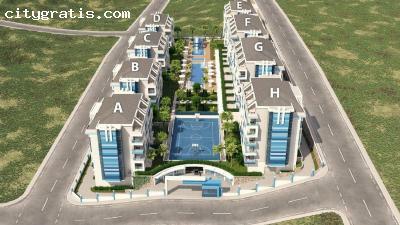 Aura Blue offers high quality at reasonable prices. 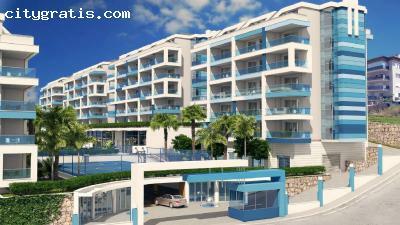 Affordable luxury apartments, ONLY 300 metres from the beautiful sandy beaches along the coastline of Alanya and city centre only 5km from Aura Blue about 15 minutes via the frequent transport links to Alanya. Semi-rural location means quiet and tranquil location yet not too far from everything you need in the city. Aura Blue luxury apartments offer a good choice of floor plans in its 132 apartments throughout 8 blocks with a maximum of 4 storeys. This makes for the perfect mix of low density and low level construction giving you the great feel of an enjoyable home in the sun. 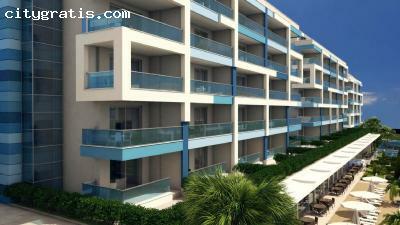 Each apartment looks onto the generous pool/gardens area in the centre of the apartments offering a pleasant surroundings to enjoy from the balconies. Excellent facilities are provided for all including fitness centre, recreational entertainment facilities. All apartments have as standard Fitted kitchen granite worktops with white goods package from 2000 euros as optional extra to create that ready to move in feel. Now is the time to give us a call to catch yourself a great deal! White Goods (Fridge, Washing Machine, Dishwasher, Owen, Cooker, Extractor) are available from 2000 Euro complete price. NB: Most of the Purchasing Expenses are included in the Sales Price: ISKAN (Habitation Report), Electricity and Water Subriptions. Tapu Expenses are excluded.